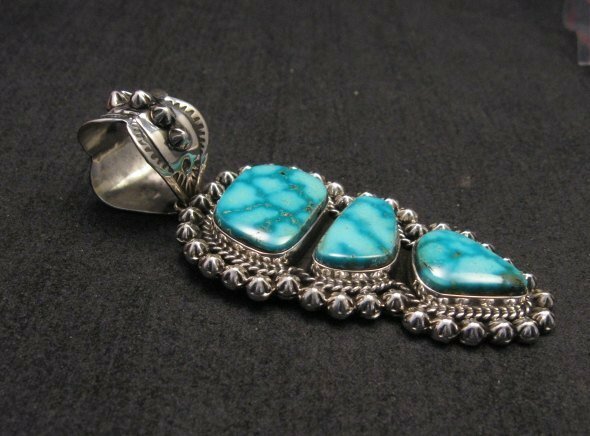 Native American Turquoise & Sterling Silver Pendant by Navajo artists Happy Piasso and Rudy Willie. 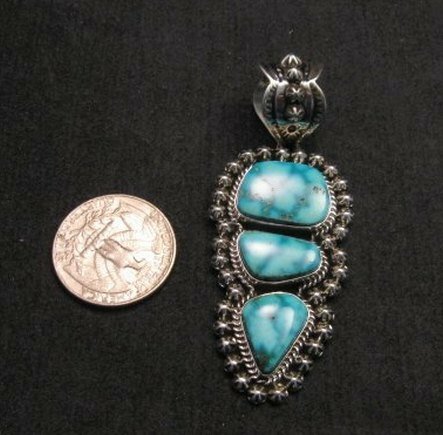 Natural Kingman turquoise stones. Pendant measures 2-3/4 inches long, including the fancy bale. Item#6607. 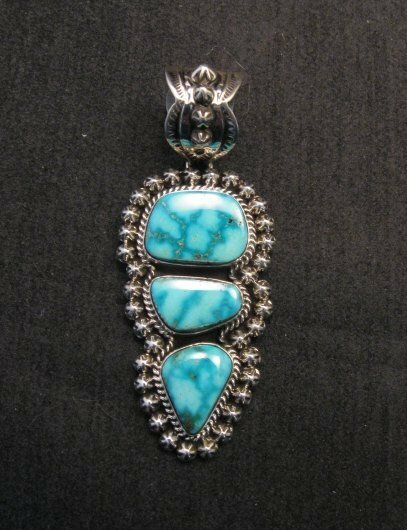 Natural Kingston Turquoise & Sterling Silver Pendant created by Navajo artists Happy Piasso & Rudy Willie. 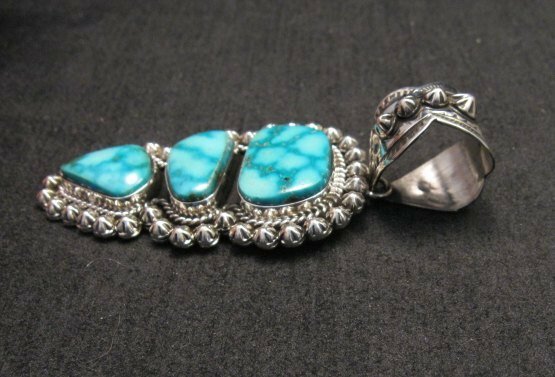 The three gorgeous natural Kingman turquoise stones are surrounded with sterling silver twist wire and stamped hogan beads. The Pendant measures 2-3/4 inches long, including the fancy bale and weighs 21.5 grams. The fancy bale has scalloped edges, applied stamped hogan beads and can accommodate a chain or beads up to 5/8 inches in diameter. Brand new in perfect condition. Certificate of Authenticity and gift box included with your purchase. Hallmarked by the artist. The pendant was created by silversmiths Happy Piasso and Rudie Willie, who are well-known for the quality and affordability of their jewelry. They usually use Happy's hallmark to sign their pieces, though both are involved in the production.